LINCOLN, Neb. 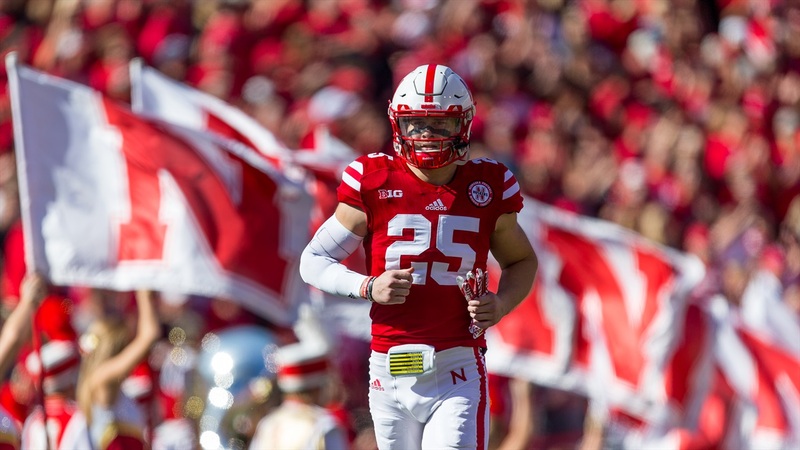 -- Head coach Mike Riley confirmed after Thursday's practice that safety Nathan Gerry is ineligible to play in the Music City Bowl. Cornerback Boaz Joseph is also ineligible to play. "We do have two players that are ineligible for the bowl," Riley said. "One of them is Boaz Joseph and the other one is Nate Gerry. Neither one of those guys, their ineligibility has nothing to do with violation of team rules. I just want to make that clear." Riley said it would be fair to call it a university issue but wouldn't go any further. "I can't say anything more than that," Riley said. "They didn't do anything behavior-wise or something that would be a violation of a rule that I have. It wasn't a coaching decision, it wasn't a team rule. It's just plain-out ineligibility." In addition to Gerry, wide receiver Jordan Westerkamp will not play in the Music City Bowl and quarterback Tommy Armstrong Jr.'s status is still up in the air. "We're disappointed for us and for them," Riley said. "They had great careers here and have impacted lots of things in their life here and have had a great impact on the improvement of this year's team. We will definitely miss them." Riley expects sophomore Antonio Reed to start in Gerry's place. "I am excited about Antonio Reed and his opportunity there," Riley said. "When I look at this secondary as its put together going forward in this game and all these guys will be back, I think we'll all like that look. I'm excited for this group to play together and I'm looking forward to it." As for Riley's response, he's disappointed to lose both Gerry and Joseph. He particularly noted what it meant to lose Gerry, who holds a leadership position on the team. "It affects a lot of people," Riley said. "Most that it affects directly right for the moment is [Gerry's] 2016 team that he's a captain of." Gerry later confirmed the news of his ineligibility via Twitter.